It's true. 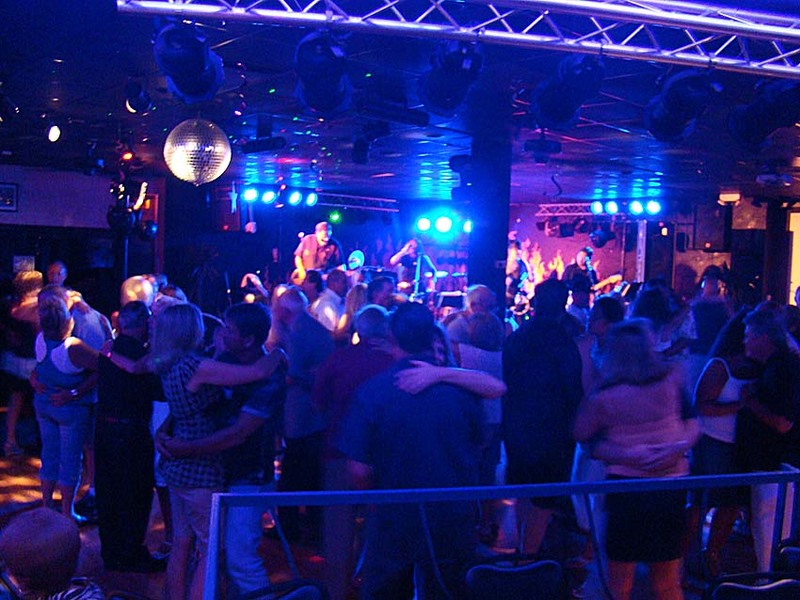 The hottest day of 2011, with the mercury rising to 106° even BEFORE the humidity was taken into consideration, which brought the "feels like" temperature to around 120°, and in spite of the heat a full house came out to Whispers in Glen Burnie to party the night away with us. Fortunately the folks at Whispers were prepared with some super sized fans that helped supplement the A/C system which had a difficult time keeping up with this record heat, particularly considering the frequent opening & closing of the doors to the outside patio. How full was it? Well, put it this way...there was barely any space left behind the building where we park the vans & trailer because the entire front parking lot was FULL! That was pretty incredible, because that is one BIG parking lot! We had a number of birthday celebrants with us for the evening, and we're very happy that they decided to come out to celebrate with us. Whispers is so great for celebrations like that in that they can accommodate larger groups very easily. We were also pleased to have a guest dancer join us on stage during one number to entertain everyone with a traditional Hawaiian dance. As always we got lots of photos from the evening. Many thanks again to our good freind Barbara who was kind enough to take so many of them for us. She's getting much better at dancing and shooting the camera at the same time!!! You can enjoy the slideshow of the photos from the evening by clicking the button below. You can also see them on our FaceBook Page where you can tag yourselves, your friends, and of course comment on your favorites.